Steam locomotive No. 576 sits motionless at Centennial Park, covered in bird droppings and stuffed with nests. One of the last steam engines built in the country, its purpose was to haul troops and oil during World War II. And if a group of locomotive preservationists are successful, it may once again take passengers on a ride. “If you see a train go by nowadays, it basically is a rumbling box with wheels. Whereas these, it’s almost as if they live and breathe,” said Shane Meador, president of the nonprofit Nashville Steam Preservation Society. The group of about 18 locomotive restoration professionals and enthusiasts hope to restore the 74-year-old steam locomotive to working order, pending approval by Metro Parks and the Metro Council. 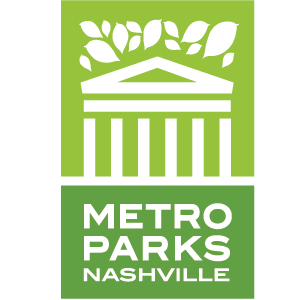 “The opportunity to ride a steam train out of Riverfront Park could be a much richer experience than the current static observation available in Centennial Park and is worthy of consideration,” Metro Parks director Tommy Lynch said in a statement. The board meeting is May 3. If successful, the train will be moved to the Tennessee Central Railway Museum near Rolling Hill Mill, where the group will make parts or add commissioned parts to replace corroded ones. Once completed, the locomotive would pull the museum’s 14 restored ’50s-era passenger cars to carry Nashvillians on the Nashville & Eastern Railroad, used by the Music City Star. It would operate 20-30 times a year. 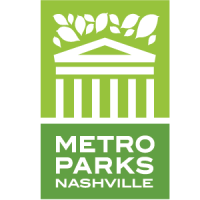 NASHVILLE, Tenn. — One of the rarest members of “the greatest generation” of modern American steam has languished in a Nashville park for more than six decades. Multiple efforts to bring it back to life have come and gone. Now, though, steam buffs hope the stars are aligning for Nashville, Chattanooga & St. Louis Railway No. 576. The big J3 engine, the sole survivor of a class of 20 built during the desperate days of World War II, is a 1942 product of the American Locomotive Company. The last time someone proposed removing the 4-8-4 from Centennial Park, in 2001, the parks board declined the offer. Today, though, “it almost seems as if the timing is right, with all the things coming together,” says Shane Meador, a Nashville native and president and chairman of the recently formed Nashville Steam Preservation Society. Meador’s $5 million vision calls for leasing 576 from the Nashville Metro government and moving the engine to the Tennessee Central Railway Museum on the Nashville & Eastern Railroad. The restored J3 would lead excursions over the 108-mile N&E — the former Tennessee Central Railway east of Nashville — using 14 passenger cars from the museum’s collection. Museum President Terry Bebout, who was involved in the failed 2001 effort and is now preservation society vice president, thinks it really could happen this time. Also, the parks board today has a deadline to move 576 somewhere so it can start a major renovation of Centennial Park. Nashville’s historic riverfront has become both a popular tourist draw and home to Riverfront Station, where excursion trains would depart. Click here for the entire article and video.